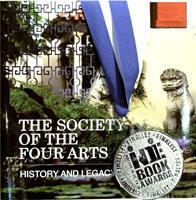 THE SOCIETY OF THE FOUR ARTS: History and Legacy book has been chosen as a Finalist by the 2018 Next Generation Indie Book Awards. The Society of the Four Arts, a non-profit cultural organization located on Palm Beach, released the book earlier this year to celebrate its 80th Anniversary and document its noteworthy history. West Palm Beach marketing and publishing company, StarGroup International, worked with the organization’s executives to produce the award-winning book. As the largest not-for-profit awards program honoring independently published books, The Next Generation Indie Book Awards was established to recognize and honor the most exceptional independently published books each year. It is considered to be the equivalent of a Sundance award in the publishing world. Boasting eight decades of world-renowned art and sculpture, manicured tropical gardens, fine architecture, and cultural programs, the 140-page book is interspersed with photography, historical content, and fond recollections from current members and visitors. The book is available for purchase by contacting The Society of the Four Arts at (561) 655-7226 or emailing contactus@fourarts.org. The Society of the Four Arts was founded in 1936, and continues to offer a dynamic lineup of cultural programming, including notable speakers, concerts, films, educational programs, and art exhibitions. The campus is home to beautiful sculpture and botanical gardens, a library and children’s library, and a state-of-the-art educational facility. For over 25 years, StarGroup International’s team of top industry talent has created branding, marketing, and media campaigns, including award-winning books.